Ancient man lived by the sharp senses ,brought us to this Stage- Robotic Digital Man –Sorry- they can’t play golf nor will they sing well or show us rhythmic dance or draw a nice art.. GET BACK TO BASICS.SHARPEN HUMAN TALENT. where are they ? was the first questions where are your boys ?Malaysia # a golfing phenomenon- BUGGY,MAT- HITTING,GUIDED EVERY MOVE-EVEN AIRCONDITIONED TRAINING-NO COURES TO PRACTICE.NO FAST GREENS TO EXPERIENCE Then comes ooo it's too hot it's too long, ball uncontrollable. 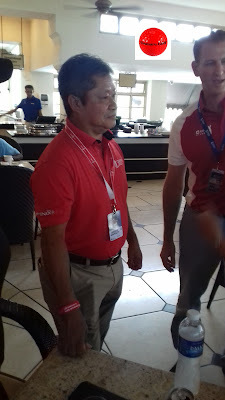 Admire Malaysian Golfers Admire PGM for what they are doing .Seek help-support from Authorities From giant clubs .from Giant corporations Its probably tax free for golfing sponsorships. Sponsor all PGM cardholders for five years and see the results. Enabling them to practice full time and live. Open the gates to practice ,a reasonable request indeed They will give back big to Nation. 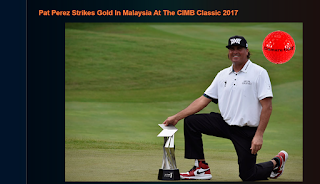 not criticise but admire ,Malaysian Golfers -they are restricted form stretching their hands and minds and senses without venue to practice. With no funds for full time golfing Most are part time golfers with meagre budget. They are more talented potential winning golfers dropping out than Growth .In Thailand baby pros-sponsored by caring SINGHA BEER. OR IN INDIA, CARED BY SO MANY-Result- a stream of talent one after the other. 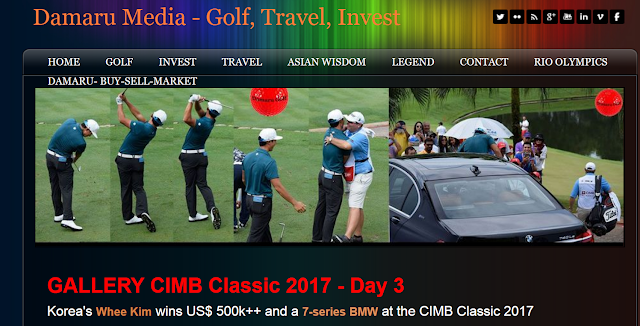 Malaysia # a golf phenomenon- thought aftermath #CIMB GOLF CLASSIC after trying to find to find out where the Malaysians are. So they came across ocean, thousands of miles to a foreign land, take most winning, and go back with a heavy harvest at the same time enjoying fine traditional Hospitality of Malaysia. A common phenomena in Malaysia with so many high prized golfing events. They are aliens not familiar with the course as the Malaysians , not so familiar with the air, with ground conditions as Malaysians, not used to harsh hot humid weather conditions like Malaysians, Yet they take the harvest during harvesting time.. Of course, with a big Thank you in a typical gentle style. So when asked former chief of Asian Tour a champion in Asia during his days in early 1980s why is this phenomenon?. We grow they take the harvest Why?? htiing a moving target by purse ineer sense-Today ??? With so many modern day golfing aids true nature of the game is not understood. True pace of the game, true conditions of the game. WALK THE COURSE-Fell True ground conditions, true feel ,what has to be ACQUIRED with constantly changing environment position etc. Are the players pampered to the extent ,there no self-generated deep interest developing golfing senses. Under competitions. Or do they at the beginning assume no we can't beat them? Or is it the inherent inner feel that’s ok. never mind missing a shot or two..
Closed Doors! Sorry boys just follow rules go in buggy like the senior citizens then have good meal at the 19 th hole. and play professional golf that is club rule. Never hit ball on mats go to turf- as far as possible collect the balls walk back. As he described how Vijay Singh practiced till late night collecting his own balls. More than any as the players have to pay for every practice Round as they enter the course. Human race lived ,evolved by the feel-They felt rain, sunshine, dangers, and all needed to bring Human race to today digital man. From now on it is digital man’s world- with no senses. BUT SPORTS NOT FOR DIGITAL MAN they are not capable of balancing still, not capable of three dimensional vision with feel. 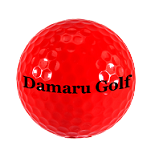 or feel the ground when touched by feet.to say soft, hard, ok, ..
Damaru Golf tech believe range practice and simulator practice likes kill skills or develop wrong skills. More-Golfing aids kill the much needed golfsense. In the course player has to replay on self-sense not external sense nor constant advice from another. Even Caddies advice needs to be solicited when in real doubt. Caddys task is to assist player with exact distances Ground conditions probably wind characters , rest must come from player. 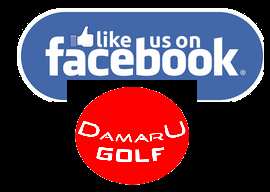 Opinions expressed here are personal not by DamarU Media makers of DAMARU GOLF. Or Asia Tour or any individuals. Level of golfing skills from the days of Ben Hogan era to now Have there been any measurable improvement despite all the sophisticated equipment, training methods to help ? Before this noble act of starting this tour Malaysian golfers were like stray birds flying here and there aimlessly. Today they have a clear path to the top of world OF golf with affiliations and recognition by top world golfing bodies. This the time to make use of the foundation laid by PGM tour.. Combine benefit will far exceed the total money spent by Tourism Malaysia promoting Malaysia. Damaru Golf tech.in association with LALI.ELITE.GOLF the thinking golfer. ps Three malaysians who took part in this event are reasonably sponsored to survive and indulge in full time golf . A Stimp reading of 5 at Harbour Town! Oakmont was under 10, and way out in front of most other courses in America. 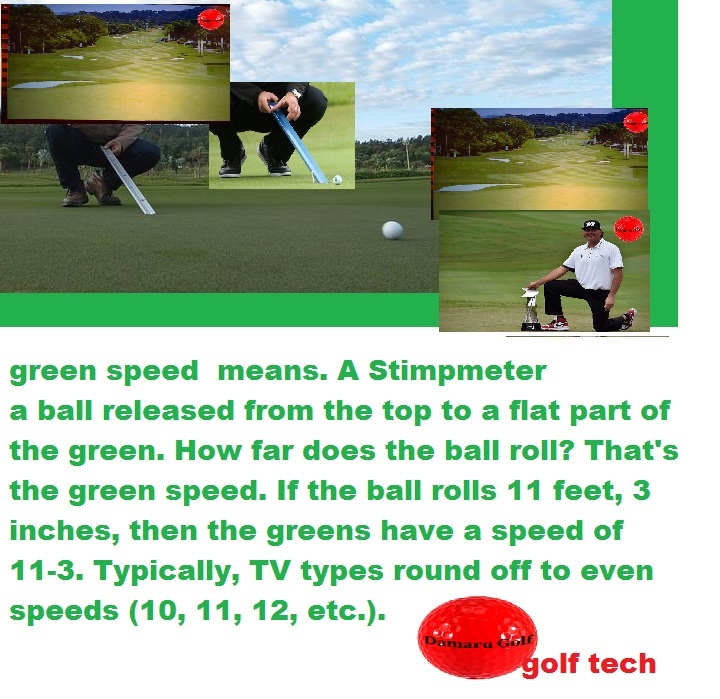 Malaysian PROFESSIONALS are exposed to green speed of 8 or below as they play under amature rules. In tournaments lik PGA they play 10 or over This makes a big diffrenece in scores. Golfers appreciate , true surfaces where the ball has a good NORMAL NATURAL roll, does not PULL PUSH quickly or abnormally deviate from its natural path.Then putting become real skill not luck. Weather: Mostly cloudy with a high of 90 degrees Fahrenheit / 32 degrees Celsius. Winds west at 4-8 mph. Beginning the day with a four-shot lead, American Pat Perez shot a final-round 69 to win the CIMB Classic by four shots over Keegan Bradley for his third PGA TOUR victory. At the age of 41 years, 7 months and 14 days, Perez is the oldest winner in tournament history. Perez collects his third win on TOUR (2009 CareerBuilder Challenge, 2016 OHL Classic at Mayakoba) in his 403rd start. With this victory, Perez moves to second in the FedExCup behind Safeway Open winner Steele, who finished T13 this week. He also earns an exemption into the Sentry Tournament of Champions in January in Maui. Perez is now two for three in converting 54-hole leads or co-leads to victory. Previously, he had held the 54-hole lead/co-lead just twice in his career, at the 2002 AT&T Pebble Beach Pro-Am and the 2009 CareerBuilder Challenge, finishing runner-up at the former and winning the latter (CareerBuilder Challenge was a 90-hole event). Perez’ winning margin of four shots is the largest on the PGA TOUR since Marc Leishman won last season’s BMW Championship during the FedExCup Playoffs. Perez is coming off his best season on the PGA TOUR, recording six top-10 finishes, including a win at the OHL Classic at Mayakoba, a T3 finish at the Sentry Tournament of Champions and a T2 finish at the Wells Fargo Championship. His strong play qualified him for the season-ending TOUR Championship, and he finished 15th in the final FedExCup standings. Perez has one other win on the PGA TOUR, the 2009 CareerBuilder Challenge. Perez’ berth in the TOUR Championship was the first of his career, coming on the back of a T6 finish at the Dell Technologies Championship, his 400th start on the PGA TOUR. He began last season on a Major Medical Exemption, and his win at the OHL Classic at Mayakoba was good enough to earn full TOUR status. This is Perez’ fifth start in the CIMB Classic, his best finish coming in 2011 when he tied for ninth. The third-round leader/co-leader has now gone on to win six of eight editions of the CIMB Classic. Perez’ four-stroke lead over Schauffele tied Anirban Lahiri (2016) for the largest lead through 54 holes in tournament history; Lahiri went on to finish T3. 54-hole leaders are now one for two on converting to victory in the 2017-18 PGA TOUR Season. American Keegan Bradley shot a 5-under 67 on Sunday to finish runner-up at the CIMB Classic, his third top 10 in four starts in the event and best since finishing sixth last year. The 2011 PGA Championship winner recorded his best finish since he was runner-up at the 2014 Arnold Palmer Invitational presented by Mastercard. His Sunday 67 included three birdies, one eagle and no bogeys. Bradley finished 47th in the FedExCup last season, his best since 2014 when he finished 33rd. Making his first start since becoming the first rookie to win the TOUR Championship, Xander Schuaffele fired a Sunday 72 to finish T3 with Sung Kang in his bid to win his second consecutive event. Schauffele was named PGA TOUR Rookie of the Year, as voted by his peers, after winning twice last season, including the FedExCup Playoffs finale, the TOUR Championship and The Greenbrier Classic. He finished inside the top 20 in three of four FedExCup Playoffs event and claimed top-five finishes at the U.S. Open and Sanderson Farms Championship, both T5s. His win at East Lake propelled him to a third-place finish in the final FedExCup standings. Schauffele was born in La Jolla, California, but his mother is half Taiwanese (grew up in Japan) and his father is half French and German. He is part of golf’s high school Class of 2011 that includes, among others, Jordan Spieth, Justin Thomas, Emiliano Grillo and Daniel Berger. This was Schauffele’s first start in the CIMB Classic. Sung Kang shot a Sunday 71 at the CIMB Classic to finish in a tie for third with Xander Schauffele, his best finish on the PGA TOUR since he was runner up at the 2017 Shell Houston Open. Kang had his best season on the PGA TOUR last year, finishing 59th in the FedExCup. This is the Korean’s second start at the CIMB Classic; he finished T21 last year. Hideki Matsuyama, who entered last season’s FedExCup Playoffs on top of the standings and at No. 3 was the highest ranked player in the field in the Official World Golf Ranking, finished T5, a year after finishing runner-up to Justin Thomas. Brendan Steele, coming off his second-straight win at the Safeway Open, finished T13, 12 shots behind the winner. Steele finished T26 in the CIMB Classic last year coming in off a victory. After shooting a first-round 77, Englishman Paul Casey, No. 14 in the Official World Golf Ranking, improved by 14 shots in the second round with a 9-under 63. He continued his rebound in the third round, shooting a 3-under 69 in the third round and 7-under 65 in the final round to finish T7, his best showing in four appearances at this event. Justin Thomas, the 2016-17 PGA TOUR Player of the Year and FedExCup champion closed his tournament with a 5-under 67 to finish T17. The two-time defending champion owns the lowest stroke average at this event (minimum of eight rounds), averaging 65.88 per round coming into 2017. Indian player Anirban Lahiri, who held a four-shot lead through 54-holes at this event last year, finished T10. In his first start of the 2017-18 PGA TOUR season, Pat Perez shot a third-round 8-under 64 to get to 21-under and has a four lead over Xander Schauffele. He made just his second bogey of the tournament on the par-4 13th, but immediately followed it with three birdies, and added one at the last for good measure. His 54-hole total of 21-under-par 195 is the lowest 54-hole score in tournament history, bettering the mark of 20-under 196 set by Justin Thomas and Brendan Steele in 2015. At 41-years-old, Perez would become the oldest winner of the CIMB Classic with a win tomorrow. Perez has held the 54-hole lead/co-lead just twice in his career, at the 2002 AT&T Pebble Beach Pro-Am and the 2009 CareerBuilder Challenge, finishing runner-up at the former and winning the latter (CareerBuilder Challenge was a 90-hole event). His total of 195 is the second-lowest 54-hole of his career (191 – 2009 CareerBuilder Challenge). Perez is coming off his best season on the PGA TOUR, recording six top-10 finishes, including a win at the OHL Classic at Mayakoba, a T3 finish at the Sentry Tournament of Champions and a T2 finish at the Wells Fargo Championship. His strong play qualified him for the season-ending TOUR Championship, and he finished 11th in the final FedExCup standings. Perez has one other win on the PGA TOUR, the 2009 CareerBuilder Challenge. The third-round leader/co-leader has gone on to win five of seven previous editions of the CIMB Classic, with Justin Thomas accomplishing the feat most recently in 2015. Perez’ four-stroke lead over Schauffele ties Anirban Lahiri (2016) for the largest lead through 54 holes in tournament history; Lahiri went on to finish T3. Brendan Steele won last week’s Safeway Open for the second consecutive year trailing leader Tyler Duncan by two shots through 54 holes. Making his first start since becoming the first rookie to win the TOUR Championship, Xander Schauffele is in second place after the third round at the CIMB Classic, four shots back of Pat Perez’ lead. Schauffele is looking to become the first player since Jordan Spieth (2017 Travelers Championship, 2017 The Open Championship) to win back-to-back events on the PGA TOUR. Schauffele’s has held or shared the runner-up position through three rounds just one other time, at the recent TOUR Championship, where he was T2 through 54 holes and went on to win. This is Schauffele’s first start in the CIMB Classic. Sung Kang shot a 7-under 65 in third round of the CIMB Classic, good enough for solo third through 54 holes, five shots behind the leader, Pat Perez. His T3 position through three rounds is his best since he led through 54 holes at the Shell Houston Open last season, where he finished runner-up. That finish was the best of Kang’s PGA TOUR career, which has seen him record 7 top 10s in 113 starts. In his first action since the 2017 Presidents Cup at Liberty National Golf Club and first start of the 2017-18 PGA TOUR season, Japan’s Hideki Matsuyama made five-consecutive birdies on the front nine and closed with three consecutive birdies in the third round to cap off a 9-under 63, that ties the low round of the week. Matsuyama is making his fifth straight start at the CIMB Classic, his best finish coming last year when he was runner-up to Justin Thomas. He was also T5 in 2015. The third-ranked player in the Official World Golf Ranking (the highest ranked player in the field), has won six times in the last 12 months on the global stage, including two World Golf Championships tournaments, as well as posting two top-5 finishes in the U.S. Open and PGA Championship last season. Matsuyama also captured the Waste Management Phoenix Open last season, successfully defending his title – his strong play throughout the season made him the leader of the FedExCup standings entering the playoffs. Brendan Steele, coming off his second-straight win at the Safeway Open, is at 8 under through three rounds. 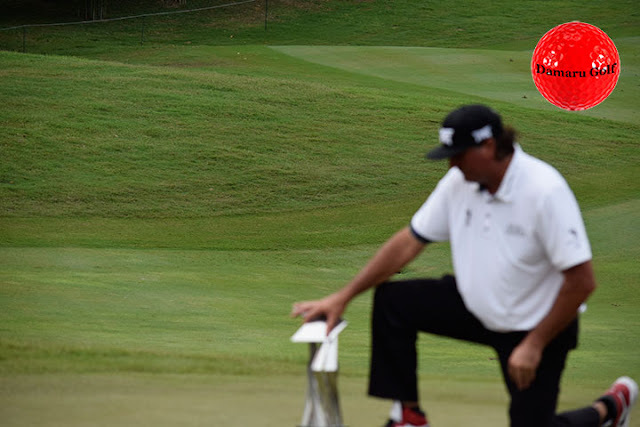 Steele finished T26 in the CIMB Classic last year coming in off a victory. After shooting a first-round 77, Englishman Paul Casey, No. 14 in the Official World Golf Ranking, improved by 14 shots in the second round with a 9-under 63. He continued his rebound in the third round, shooting a 3-under 69 to get to 7-under through 54 holes. Justin Thomas, the 2016-17 PGA TOUR Player of the Year and FedExCup champion is at 6-under after a 69 where he overcame a double bogey at the par-5 fifth with an eagle at the par-4 16th. The two-time defending champion owns the lowest stroke average at this event (minimum of eight rounds), averaging 65.88 per round coming into 2017. Indian player Anirban Lahiri, who held a four-shot lead through 54-holes at this event last year, had a bogey-free 64 today, to move into sixth place, nine shots behind the lead. Greyson Murray made two eagles, on the par-5 fifth and the par-4 16th, to shoot a third-round 64, 18 shots better than his opening-round 82.